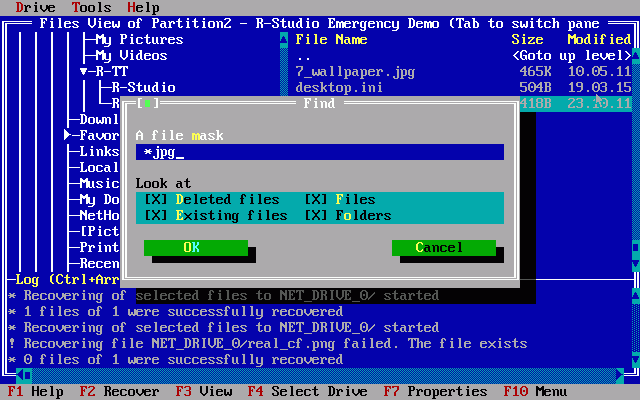 If it is selected, R-Studio makes a search among deleted files/folders. If it is selected, R-Studio makes a search among existing files/folders. If it is selected, R-Studio includes files into a search. If it is selected, R-Studio includes folders into a search.